It's been some time coming. The very funny work-for-free voice actors of Team Four Star had some hurtles to go through over the past number of months; stuff I'm actually familiar with. Their videos were doing insanely good and for good reason. The DBZ Abridged parody is a thing of genius. Even the American voice actors of DBZ loved their series and they got the go-ahead to continue their not-for-profit clips by FUNimation. Then came the miscommunication with content creator, Toei who unknowingly shot themselves in the foot by banning TFS's original Youtube page. 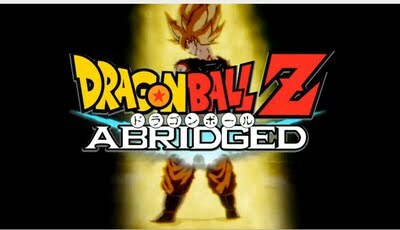 Reason why it was a suicidal move on the part of Toei was well, the darn parody was getting a fan base that has been keeping DBZ alive and well long after the "geniuses" at Cartoon Network dropped the series. Well, as of yesterday, Team Four Star posted up episode 11, the first of the long awaited Season 2. Below you'll find the clip and good god is it hilarious XD. In reference to what I said above; I've had the same garbage happen to me on YouTube back in 2005 and 2006 when Youtube first surfaced. For those who've been with me since the beginning in 2002 know that back in 2003 I created some very popular AMVs that made it to the Collections of Newgrounds.com and even got the blessings from the group QED who's song I used in the "Love Bites" AMV. This site was having loads of bandwidth issues due to the downloads from the site pre-youtube for the AMVs. Once youtube came along in 2005, the videos did great with well over 100,000K views per vid. Then of course, due to images of Inuyasha during the series' peak, it seemed that Viz didn't understand the good the videos did for the series and the account got booted -_- It took me a year just for people to find me on my new account as well as try to tell people I was who I am. Most thought I was an imposter..of myself! Anyways, this little rant is to tell you guys at Team Four Star...that I went through the same crap. now that I run an anime store in conjunction to this site...you'll actually see Viz buy ad space here ^^ and of course I continue to sell their product and put $ in their pockets.